Bridlington Arts Festival received a grant from the town council last year. The curtain has come down on Bridlington Arts Festival after more than three decades of promoting local talent. Funding problems and a struggle to find venues that did not break the bank have led to organisers calling time on the event, which had been scaled down in recent years. A final farewell show will be held next month, with 500 tickets being given away for free to the community. 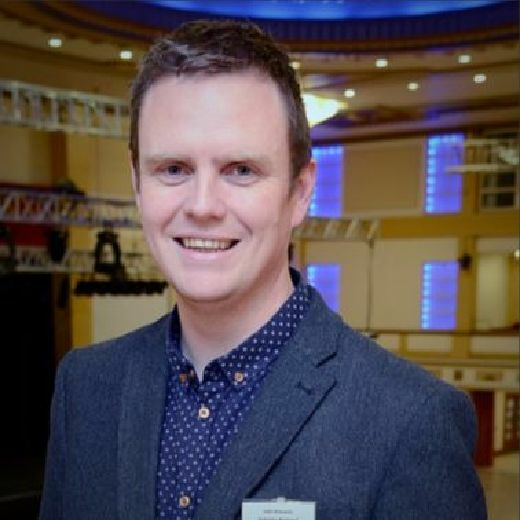 Festival chairman Mike Barnard said: “Bridlington Arts Festival has been going for over 30 years, primarily promoting local talent with support from more famous, nationally-known names. “But in 2018 the committee reluctantly called time on the event, feeling it has run its course due to the problems of finding suitable funding and finding suitable venues at an affordable cost. “Bridlington Arts Festival brought the first Bridlington Street Art competition, or as it was known back then graffiti competition, with artists from all over England taking part with the venue being the old disused platforms one and two at the railway station and then moving to the seafront along the North Promenade. “A Continental food market and street festival was brought to the town for a week, Radio Four’s Just A Minute programme was broadcast from the Spa, and famous names took part in concerts, including Yorkshire poet Ian Clayton, jazz musicians Acker Bilk and Kenny Ball, Jools Holland and comedian Jimmy Carr. Local artists will unite for one last performance at the Spa as a way of thanking all those who have supported the festival down the years. The line-up includes The Remarkable Rhythm and Blues Show group, soprano Emmie Beckitt, East Riding Youth Dance, comedian and vocalist Ryan Wilson, the Coastal Voices choir, vocalists Geoff Broadway and Leanne Brewis, Chantons acapella group, 60s and 70s band Midlife Crisis and compere Keith Fieldhouse. Mr Barnard added: “As a thank you to all the local businesses and organisations who have supported over the last 30 years, the committee would like to finish with the End Of The Show Show at The Spa Royal Hall in Bridlington on Wednesday, February 20.